At first glance, the rows of panels that snake along a hilltop in Rutland look like any of the large solar arrays popping up in Vermont. 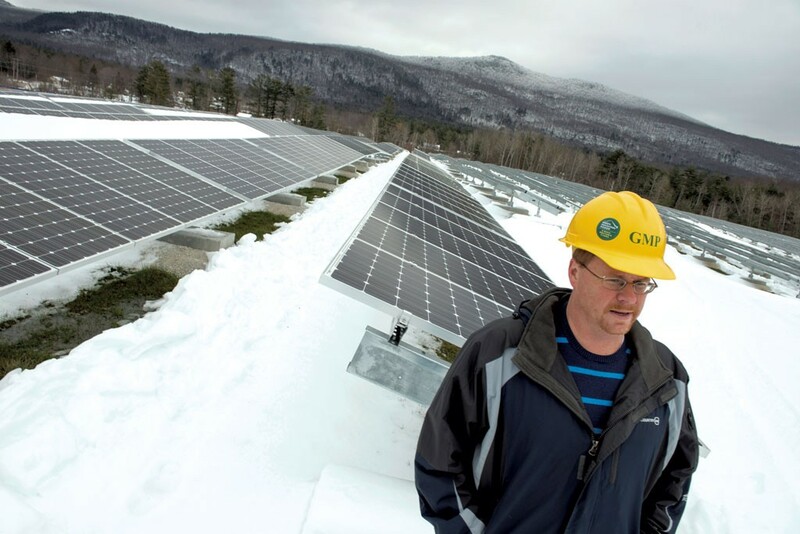 But Green Mountain Power's two-megawatt Stafford Hill Solar Farm project is one of a kind. The project is the first in the country to power a "microgrid" using only solar power and batteries, according to the U.S. Department of Energy. Constructed on a landfill defunct since 1991, it's also the first known solar storage project located on a brownfield — a site where reuse is complicated by the presence of contaminants — formerly used to bury waste. Energy experts say the solar farm is paving the way for what could be a new model for how utilities deliver power. When the roughly 7,700 panels go online in a few months, they'll generate enough electricity to power 365 homes year-round, or 2,000 homes during "full sun" conditions, feeding that electricity onto the larger, regional grid. But the real innovation happens when the power goes out, and Stafford Hill can disconnect from the regional grid and function as a self-sustaining unit. Two types of batteries will store energy, which in turn can light up a designated Red Cross shelter at the nearby high school. At the groundbreaking ceremony last summer, one DOE official called it the "perfect" project and "a national model for the future of clean energy." Grant funding from the DOE is covering $235,000 of the $10 million price tag; the Vermont Public Service Department chipped in another $50,000 through the Clean Energy Development Fund. Microgrids aren't new. Electricity generation in the United States actually started with small municipal utilities dotting the landscape, largely disconnected from one another. Islands and other remote locations have long relied on microgrids for power. Most electricity customers, however, pull their power from mega, not micro, grids, such as ISO New England, which oversees New England's bulk electric power system. It's not always the ideal model, according to AJ Rossman, a longtime solar entrepreneur and founder of Burlington-based Smart Resource Labs. He said that as demand surges and more small-scale, renewable generation comes online, energy experts are considering tweaks to the one-size-fits-all mega grid. Microgrids provide communities with resiliency during emergencies, allowing critical services — like a shelter, or a police station — to remain functional when the grid goes down. It's also economical; using the power that's generated close to home cuts down on "line loss," or the electricity that goes to waste when power is transmitted over long distances. Many of the arguments are the same ones locavores make for eating food grown in the immediate vicinity. "It becomes time to think about doing things a little bit smarter," said Rossman. Microgrids offer benefits beyond providing power during the occasional outage. When paired with storage capability, these facilities can bank power during times when energy generation exceeds customer demand. Traditionally grids have to fire up or power down generation sources, like coal or gas plants, to accommodate the energy needs of the moment. Batteries can also help smooth out the peaks and valleys associated with intermittent renewable energy sources. Rod Viens, the executive vice president at White River Junction-based groSolar — the company that constructed the Stafford Hill panels — agreed that the Rutland project is innovative by both Vermont and industry standards. It is the latest in a number of projects under way in a city dogged in recent years by a bad reputation as a crime-ridden burg battling unemployment and a depressed downtown. When Stafford Hill powers up in March, Rutland is poised to become the "solar capital of New England" — meaning the city will generate more kilowatts of solar power per capita than anywhere else in the region. The milestone is a realization of Green Mountain Power's promise to the city when the Colchester-based utility service merged with Rutland-based Central Vermont Public Service in 2012. 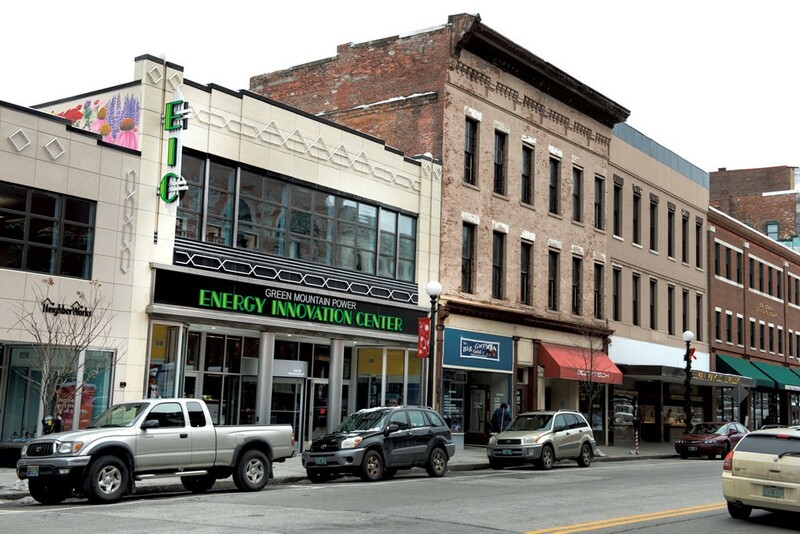 Aggressive downtown investment and a no-layoff policy were also part of the deal, which has since led to a loftier goal: to make Rutland the "energy city of the future." The plan, in real-world terms, is to use Rutland as the laboratory for new projects in energy generation and efficiency. Experiments may be as large as Stafford Hill or as small as individual home and business energy makeovers. Promising as all of that sounded, many in Rutland County, including Rutland Mayor Christopher Louras, still feared losing CVPS as a local employer and major player in the business community. "The most basic concern was that there was going to be a giant sucking sound of jobs from Rutland [going] up to Colchester," Louras said. Public officials were also wary, Louras said. "The city and local stakeholders frankly told Green Mountain Power that we were going to hold their feet to the fire on the commitments they made to the city," said Louras. But so far they haven't had to do so. "The fact of the matter is we haven't been able to catch up to them." The idea, said GMP CEO Mary Powell, was to build on CVPS' history in Rutland, while doing something "that was forward looking and forward thinking." True to its word, GMP has made strides to enliven downtown Rutland in the two and a half years since the merger. It's recruited businesses — some tied directly to the solar industry, like groSolar and SunCommon, as well as those unrelated, like Small Dog Electronics — to relocate downtown, and Louras said GMP is working to bring an independent bookstore back to the city. GMP itself moved into a vacant storefront on Rutland's Merchants Row: What was formerly a department store is now the gleaming, high-tech Energy Innovation Center. In the rear of the building is a large, open-concept office space where workers tap away at laptops at standing desks. There's a conference room encased in glass walls and a large educational exhibit that invites schoolchildren to learn about energy and efficiency. Powell remembers showing up on Merchants Row a few years ago to find seemingly deserted streets and abundant parking. Not so today: Occupancy rates in downtown storefronts are now at 95 percent. "Rutland does feel different," said Powell. But Powell doesn't take sole credit for the change. 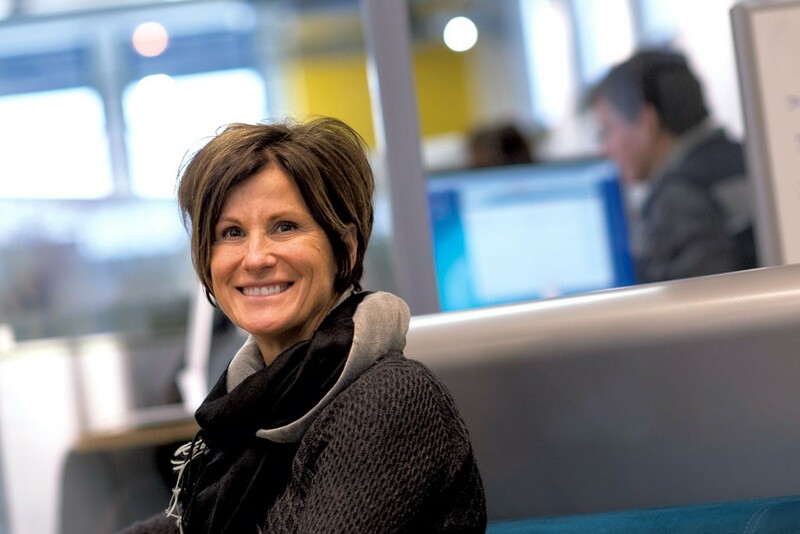 When she first started coming to Rutland, she tapped into a network of young, energetic people working to change their city. GMP's arrival also coincided with renewed efforts at neighborhood stabilization and a new approach to police work. The timing and overlap in these areas, Louras said, transformed the city. "I'm not just blowing smoke," he said. "That's a fact." Louras' optimism is tempered by concerns that solar jobs — booming now — won't make up for the loss of CVPS. Sen. Kevin Mullin (R-Rutland) acknowledged that GMP is making good on its promises, but still believes that "there's no question the merger hurt Rutland," particularly when it comes to the loss of executive-level positions formerly associated with CVPS. He also shares the concerns of some Rutland County residents who object to the sudden onslaught of solar development in the region. "What the state has done is turn their backs completely on local control," said Mullin, citing concerns about the long-term affordability of solar and calling some projects in the region "eyesores." But solar projects have raised few objections within Rutland city limits, and Stafford Hill is no exception. One benefit of constructing a solar farm atop a former landfill is that the location was already tucked out of sight. The roughly 15 acres on which it sits weren't suitable for many other types of development. On an overcast day last month, Kirk Shields — who introduces himself as an "innovation champion" with GMP — put on a hard hat and began the trek up Stafford Hill. He crunched through the snow that lingered after a powerful winter storm had swept the region a week before, leaving some GMP customers without power for days. Such winter storms are one reason why a microgrid powering a shelter makes practical sense. Shields, who worked with the city on the permitting for the project, said Rutland officials were happy to put the former landfill to good use. The panels are in place, and construction is under way on a battery-storage system that will hold lead acid and lithium ion batteries. By producing electricity when the sun shines, and banking excess power in those batteries, the microgrid should be able to power the shelter indefinitely. Energy experts like Viens predict it won't be long before solar-powered microgrids are everywhere. Rutland is already considering other potential sites for the technology, according to Louras, including the city's water treatment facility. When Stafford Hill powers up in March, Shields said, it will be GMP's biggest solar project yet. Pausing atop the snowy hill now blanketed with solar panels, he predicted, "It won't stay the biggest for long."